In this case the destination is not a town, but an end-result. Here is a concept from Chrysler, called the Dodge Journey, which gives new meaning to the word flexibility. 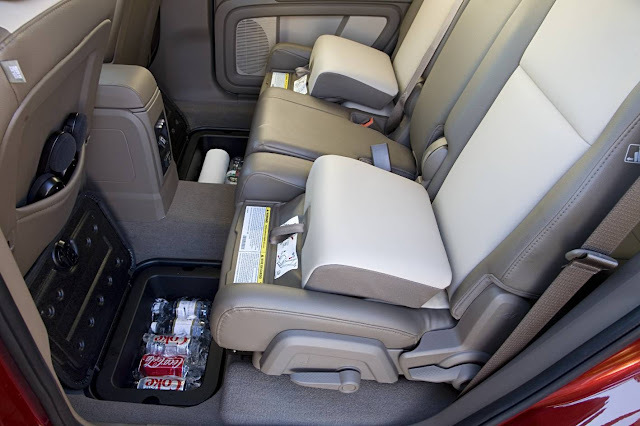 Describing the Journey could lead to confusion – is it a people mover, a passenger vehicle, SUV, van or station wagon? Actually, it’s all of these things and more. The Journey is a new take on the concept of a versatile vehicle which can move people and stuff easily, and comfortably. Chrysler has already proved its credentials on innovation with models like the Chrysler Voyager (the very first people-mover), but I think Journey deserves special mention. It is full of surprising and delightful secrets, and reveals that the designers dug deep into their imagination to create a car which really does reflect the needs of those with an active lifestyle. In brief, it has the bold and chunky styling of an SUV, it’s built on a passenger car platform, it has three rows of seats for seven people and a fold-flat floor which can take long loads up to 2.87 metres long! There's nothing it can't carry! The second and third row seats are ‘theatre-style’ which means that each row is higher than the one in front, giving great visibility for those occupants. 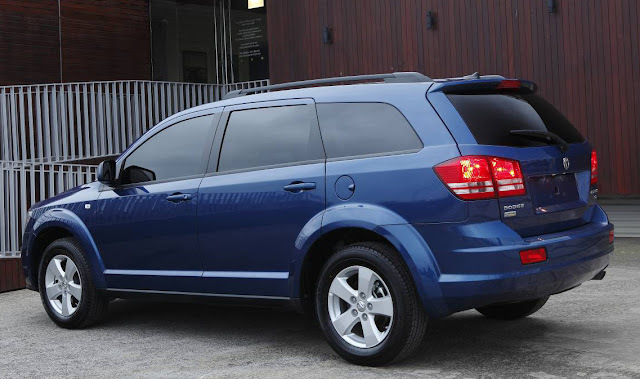 Powered by either a petrol or diesel engine, with superb automatic transmissions and outstanding ride comfort, the Dodge Journey appears to be the complete answer for a family car. The SXT version is the base model, which offers a 2.7 litre, petrol V6 with 136kW and 256 Nm, and a six –speed automatic transmission with manual selection. Next, is the R/T version, also boasting the petrol V6, which has a large number of trim and equipment variances. Then there’s the pick of the range; the R/T CRD offering a VW-sourced 2.0 litre, turbo-diesel engine with a fuel-saving 6-speed, Getrag Dual-Clutch automatic transmission. Chrysler Australia believes the SXT will be 50% of Journeys sold here, but I think the R/T Diesel will appeal to those looking for a smooth, economical drivetrain matched with outstanding versatility in a very stylish, sporty package. Chrysler Australia has skillfully positioned the Journey models squarely against some of the most popular people movers and SUVs on the market. The base SXT is slightly more expensive than a base Honda Odyssey , but the Dodge has a V6 versus Honda’s four cylinder; and the R/T diesel is more expensive than Territory or Kluger, but has outstanding diesel benefits, seven seat option, and a host of inclusions which are options in most of the Journey’s competitors. This means that Chrysler is pitching the Dodge Journey as a high-value entrant, which will cut across many of the demarcation lines of the traditional segments of the Australian car market. As I said, is it a people mover, passenger car, SUV, van or station wagon? The answer is: Yes! All Dodge Journeys get, as standard, side curtain airbags to complement driver and passenger front and supplemental airbags – making a total of seven. The car has achieved 5 Stars in U.S. crash testing, and Electronic Stability Programme is standard. There are more hidey-holes for precious items than you might believe possible. Two bins under the rear floor, (one which can be used as an Esky©! ), one in the floor of the rear compartment, and a unique flip-up front passenger seat, with a place for precious items like cameras and MP3 players. When the front seat folds, there’s even a ‘platform’ for a laptop! The Dodge Journey is very well thought out and designed. It’s built in Mexico, and has excellent paint finish, panel fit and trim materials. The ride and handling is exemplary, and confidence -boosting. It’s definitely worth a look if you need a versatile vehicle, with room for seven and lots of stowage options. You'd be mad not to check it out!